Yeavering Bell is the largest Iron Age hill fort in Northumberland, situated atop a high hill on the edge of the Cheviot Hills, within the Northumberland National Park. The 'Bell' is actually the entire hill, at the top of which is an area of about 5.6 hectares surrounded by a stone wall which originally stood to a height of 2.5 metres and is up to 4 metres in width. Within the enclosed area can be seen the remains of Iron Age roundhouses. At its height, the community on Yeavering Bell supported up to 130 houses. Within the enclosure is a smaller area surrounded by a ditch, where the remains of a burial cairn can be found, a sign that the hill was used by inhabitants of the region as far back as Neolithic times. At the foot of Yeavering Bell is Ad Gefrin, the site of a palace used by the Anglo-Saxon kings of Northumbria. St Paulinus came to Ad Gefrin in AD 627 to convert the native Northumbrians to Christianity. 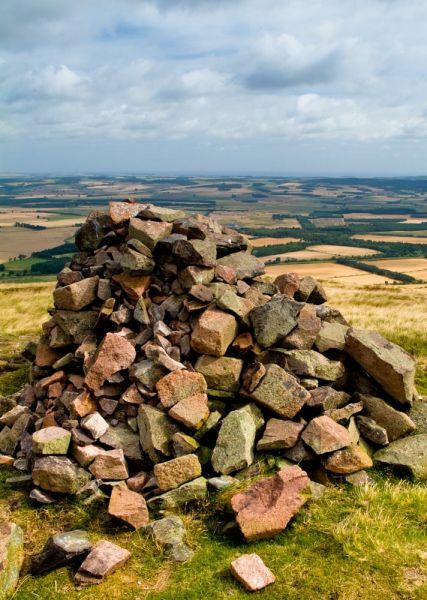 Some suggestion has been made that Yeavering Bell was a 'sacred mountain' for the Iron Age inhabitants of the area; a site of religious importance. The site was probably occupied into the Roman period. Ascending the Bell does require some effort; the path follows a slope that can be steep, though not terribly difficult for anyone of reasonable fitness. Your reward for the effort ascending is a superb view over the surrounding area. 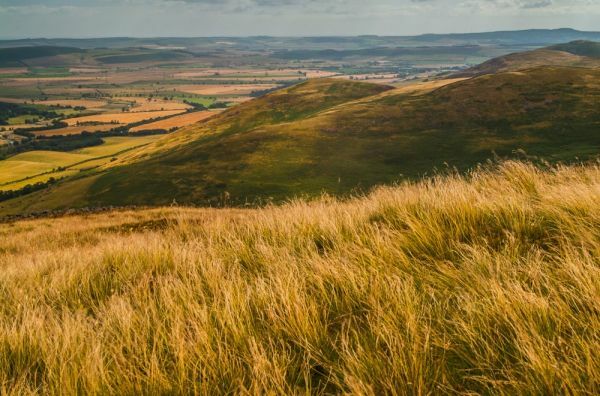 You may spot feral goats on the Yeavering Bell ascent. These rare goats were brought to Britain in the Neolithic period and were allowed to go wild when farmers in the medieval period began to favour sheep over goats. 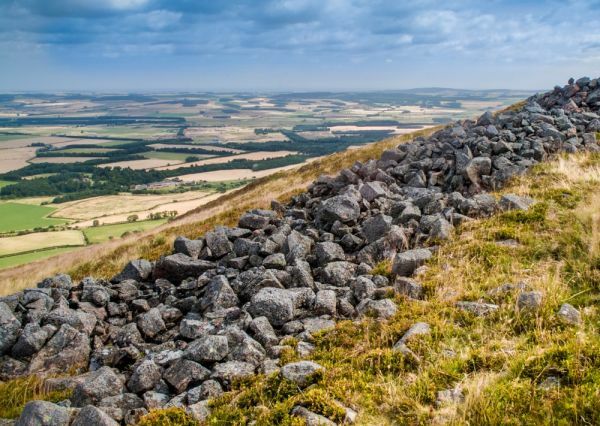 The best place to begin a walk to the hillfort is from the Gefrin monument layby on the B6351 between Wooler and Kirknewton. The walk is roughly 3.5 miles long and will take about 3 hours to complete. 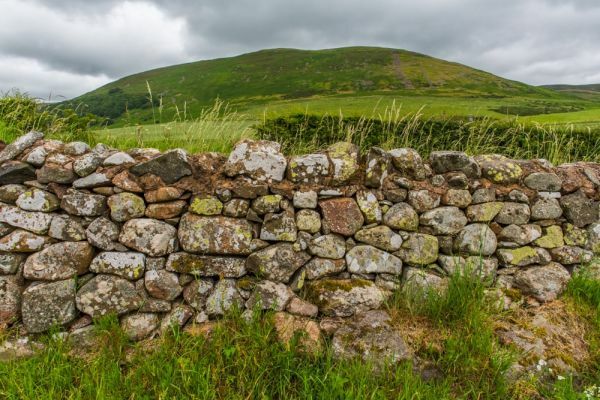 A less strenuous alternative is to take the signposted trail from Wooler that ascends Humbleton Hill and continues west across the top of the hills to Yeavering. Location: On the south side of the B6351 between Akeld and Kirknewton.